I never liked the taste of the glaze. It was always just a sugary extra. But I like the glaze that is on bakery foods. I could never duplicate it. Until now. This glaze was so good that after I glazed my coffee cake I used a spoon to eat the little bit that was left. It was THAT good! It will also be the only glaze I use from now on. 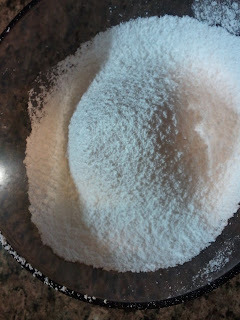 Put sifted powdered sugar in a bowl and pour melted butter, vanilla and milk in. 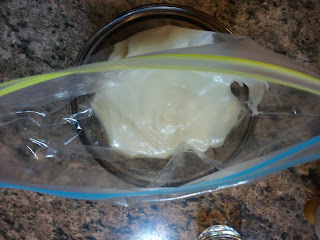 Sifting keeps all the little annoying lumps out of your glaze. 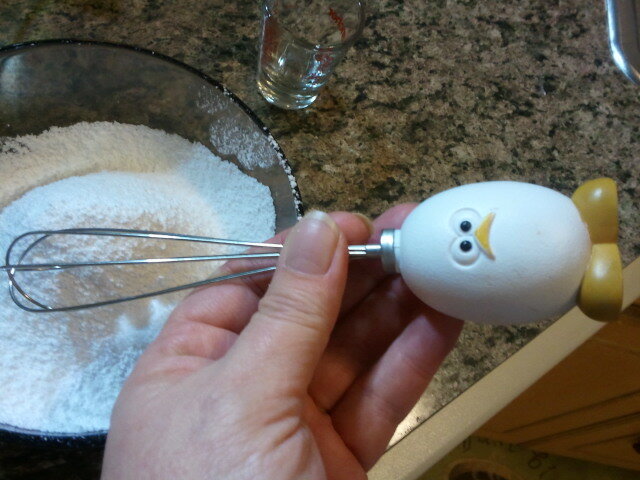 Isn't that whisk adorable? It was a gift from my sister almost ten years ago. It is also my favorite mini whisk. Whisk until smooth. 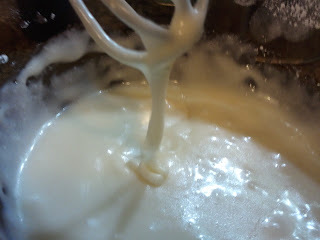 Add drops of milk to get the right consistency. 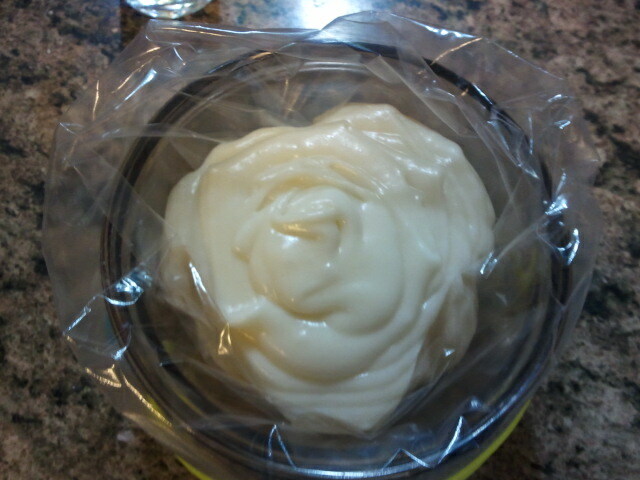 To make it easier to glaze your dessert put it in a small plastic bag and snip a tiny bit off the corner. 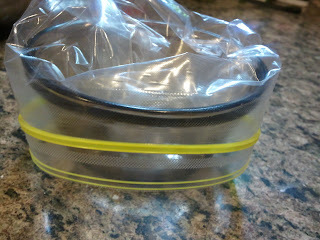 To get it into the bag without making a mess, find a bowl that will hold your bag. Fold the top of the bag down over the bowl. 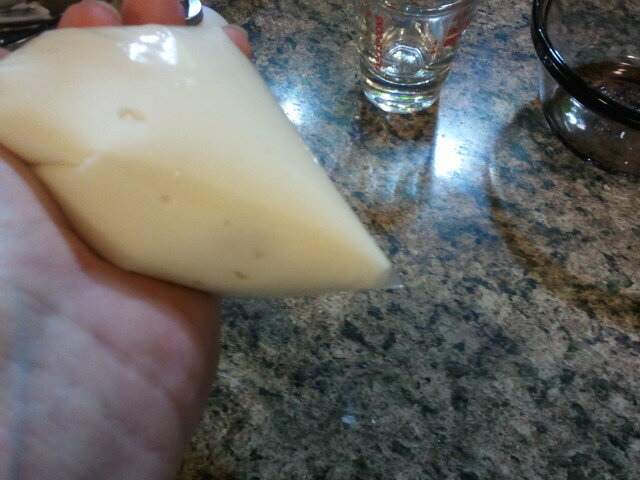 Pour in your glaze. 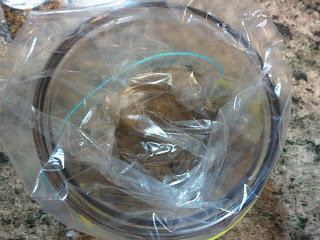 Lift up the turned over edges and seal the bag. No mess! Not to mention your bowl did not get dirty either so you can just put it away. Snip a corner and squeeze.